On Sale Now! 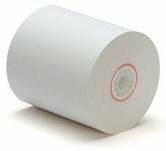 Save 2% on the 1-Ply Kitchen Printer Paper Bond 3''x150' (50 Rolls) by Impact at LDP Graphic Design. MPN: IMR-3150. Hurry! Limited time offer. Offer valid only while supplies last.